Liverpool defender Virgil Van Dijk was relieved to see the Reds bounce back from his mistake during the 2-1 win over struggling Fulham in their Premier League clash at the Craven Cottage on Sunday evening. The win was a narrow one for Liverpool but it was a significant one after the Merseysiders secured the Premier League summit at the expense of defending champions Manchester City. Dutch international centre back Van Dijk was culpable in the 74th-minute equaliser from the home side. International teammate Ryan Babel capitalised on the mix-up between him and Liverpool goalkeeper Alisson Becker to level proceedings for the West London club. 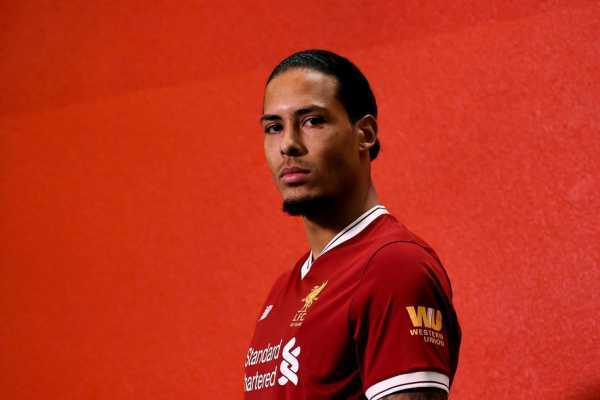 Ahead of the game, Ryan Babel told reporters that Virgil Van Dijk has a weakness and this is in contrary to the opinion of many football stakeholders who have struggled to point out any weakness in his game. Van Dijk has had a phenomenal season for Liverpool until his mistake against Fulham on Sunday. Reacting to the mistake in his post-match thoughts with Sky Sports, Virgil Van Dijk was relieved that his team ended the game on the winning side. Mane had given Liverpool a 26th minute lead before the equaliser from Ryan Babel. Substitute James Milner secured the precious three points for Liverpool from the spot with nine minutes left on the clock after Mane was brought down by Fulham goalkeeper Sergio Rico.